Matera (Italy) (AFP) - European Capital of Culture status has shone a spotlight on Italy's oldest city, whose previous claims to fame were as a cinematic "New Jerusalem" but also its "shameful" slums. Matera, around 9,000 years old and one of the world's longest continuously inhabited cities, after Aleppo and Jericho, was Saturday embarking on a 48-week extravaganza ushering it out of the shadows into the global cultural limelight. The city shares its mantle this year with Bulgaria's similarly ancient provincial city of Plovdiv, which is known not least for its 4th Century BC conquering by the father of Alexander the Great. But Matera's story is quite literally one born of a down-at-heel experience, the southern city nestling close to that part of Italy's boot-shaped peninsula. Centuries of poverty have been a curse and yet the 'blessing' of sorts which eventually put Matera on the map. 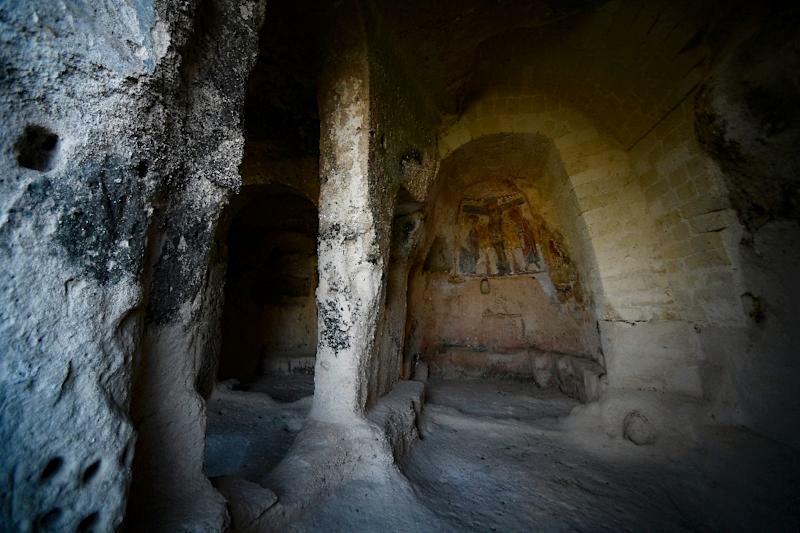 Since time immemorial, many residents had lived in its caves, called 'Sassi', dating from prehistoric times. But in 1993, UNESCO designated the 'Citta dei Sassi' (City of Stone) with its exquisite rock-hewn churches a world heritage site. The labyrinthine settlements had been a source of shame -- shame is one of the cultural programme's leitmotifs harking back to the forced clearances of the Sassi in the 1950s -- as well as disease. In those days the caves were a byword for squalor and the social deprivation of much of Italy's deep south. With the chance now to showcase its heritage, Matera is seeing tourism soar with official numbers having risen 170 percent since 2010. 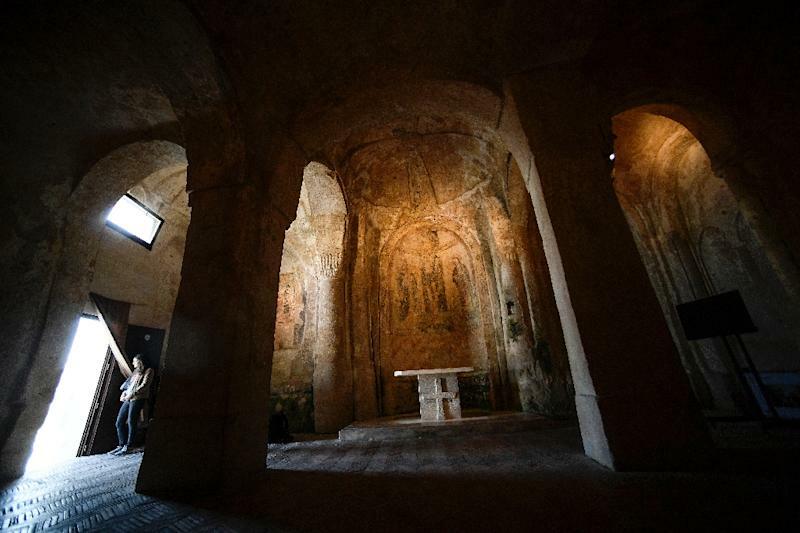 The city's stunning rock churches and cave dwellings, boutiques and luxury hotels -- some with rooms dug out of the rock beneath ground level -- have finally allowed it to shed its old reputation of "la vergogna nazionale" (national shame). UNESCO's heritage move was, however, not the first bright spotlight shone on the ancient cave city. Matera's spectacular backdrop gave several film directors their temporary 'new' Jerusalem, with Mel Gibson's 2004 Drama The Passion of the Christ as well as the earlier King David starring Richard Gere shot there. Cast in its current role of cultural mecca, Matera is now rising above its poor connections to the rest of Italy and its own Basilicata region to showcase its rugged, if crumbling limestone beauty. Matera was chosen in 2014 to co-host this year's cultural extravaganza with its Bulgarian counterparts and Saturday will see 54 bands from EU cultural centres launch the official proceedings in a blaze of colour and sound. A total of 2019 musicians will converge on the old centre to serenade culture vultures and Italian President Sergio Mattarella and dignitaries including European Commissioner of Culture, Hungarian Tibor Navracsics. Italian television will broadcast the proceedings live -- but authorities are offering 19-euro ($22) passes for those preferring to taste the atmosphere on the spot. Each visitor will have the "right" to register, coupled with the "duty" to bring with them an object of their choice, thereby creating their own artistic contribution which will go to make up a final exhibition of its own. Matera will host four major exhibitions across the year, beginning with "Ars Excavandi," showcasing centuries of rock art running from Sunday to July 31. In all, Matera will host some 60 projects including British composer Brian Eno's "Apollo" soundtrack's European premiere on July 18. "Nobody in Matera will be a mere tourist but will have the possibility of joining in with the community dimension which characterises Matera 2019," says the organisers' artistic director Paolo Verri, formerly behind Turin's prestigious book fair. Organisers forecast around a million visitors to the town in the coming 12 months. Mayor Raffaello De Ruggieri warns against the excesses which can accompany mass tourism but readily admits that "it's true, we have gone from shame to glory."